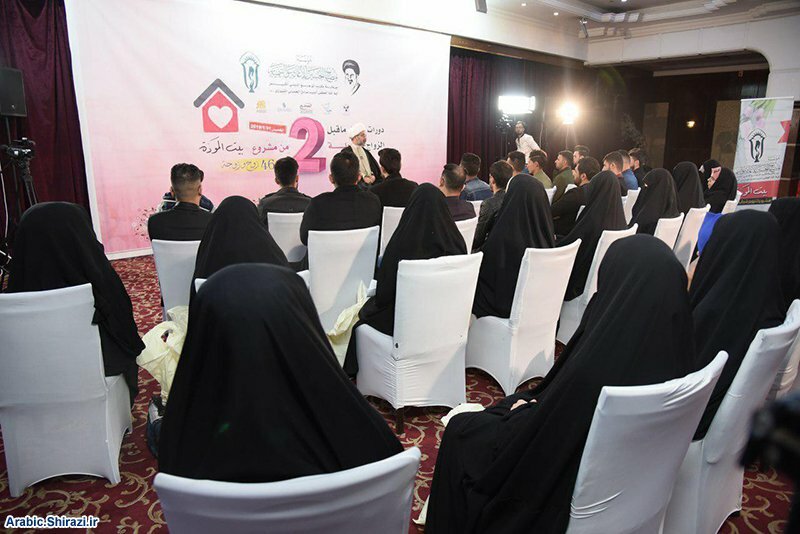 Misbah Al-Hussain Institute, dependent to Grand Jurist Ayatollah Shirazi in holy Karbala held the closing ceremony of the second round of House of Love project. 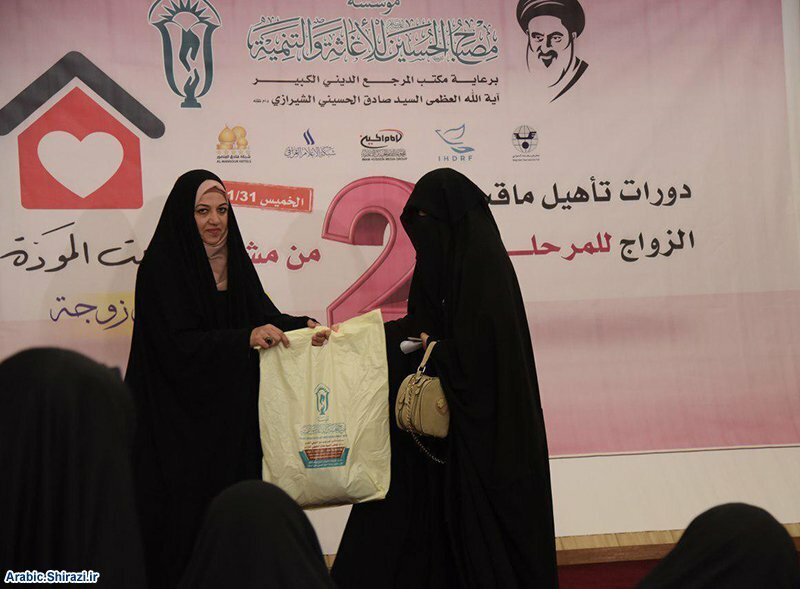 This ceremony was held on Thursday in al-Mansour hotel in Baghdad. 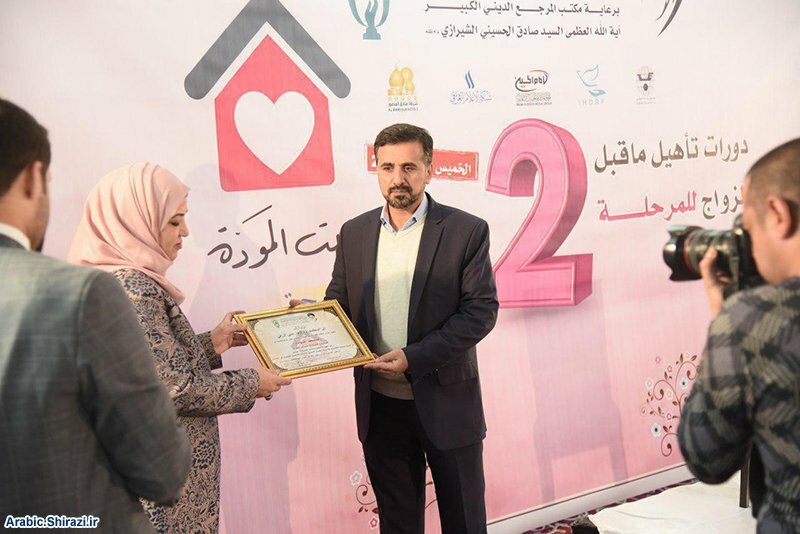 46 young married couples received gifts at this event, which was hosting Iraqi religious figures, politicians, businesspeople, academics, and other distinguished figures from other countries. 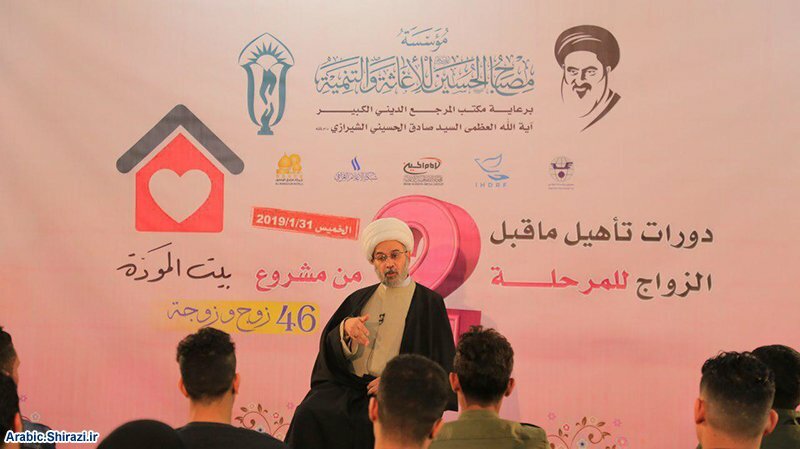 The house of love project also holds pre-marriage educational courses. 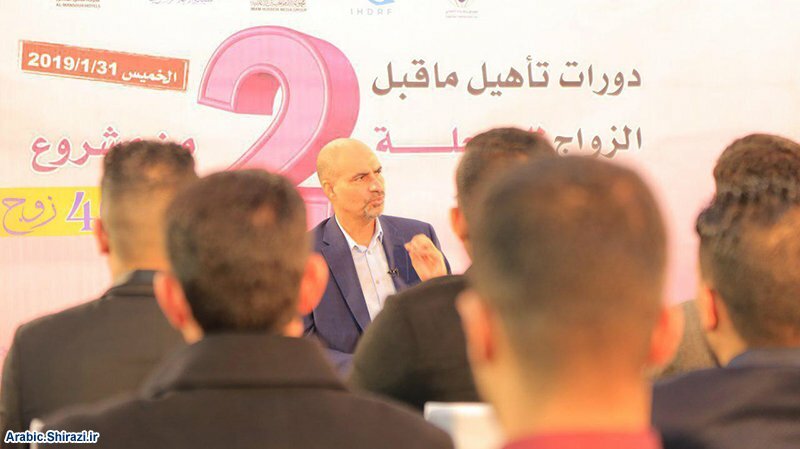 This project is carried out by Misbah Al-Hussain Institute and it aims to facilitate the marriage of young Iraqis, regardless of their ethnical or religious backgrounds.